Almond Scented Geranium (p. quercifolium) Also called "Pretty Polly" for it's beautiful pink flowers. Leaves have a nutty almond-like scent. Attractive leaves develop a brown central zonal patch in cool weather. Compact rounded habit good for containers or hanging baskets. Perennial zones 10-11+. 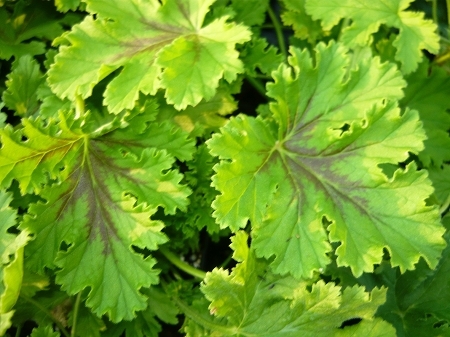 Like other scented geraniums, requires warm weather, well drained soil and plenty of sunlight. Live starter plant in 3 inch container. I got this plant and was expecting a sweet almond smell,but in surprise found it to be mildly nutty in good refreshing kinda of way very pleased specially with the shipping!